In a nutshell, if a buyer’s credit score ranks high enough to qualify for a loan. Currently, in the U.S., the average credit score ranges between 670 and 699 depending on the credit report used. Many Americans with credit scores less than 600 don’t qualify for traditional mortgages to buy a home. First of all, let’s explore credit scores. The FICO score determines whether a person has good or bad credit. It measures a consumer’s credit risk in the U.S. The Fair Isaac Corporation (FICO) based in San Jose, California provides this credit scoring service. Falling into the “Poor” range means bad credit risks. Banks refuse mortgages for Americans with a poor FICO score. Bad credit occurs for many reasons. Maybe identity theft or high medical bills caused the issue? Also, someone losing his or her job resulting in missed payments leads to a poor credit score. In 2007 when the economic recession began millions of Americans fell into financial difficulties which destroyed millions of credit scores. On the other hand, sometimes poor decisions and bad money management result in bad credit. New clothes, vacations, and other luxuries cause thousands to lower their credit score. Too many credit cards and debts lead to an inability to make full payments every month. The bottom line: A credit score number represents a person’s ability to manage money. Before explaining how to buy a house with bad credit consider raising your credit score. USDA loans where most lenders ask for 580 to 640 scores. Earn more income. Either find a better paying job or take on an extra job or increase the hours you work at your current job. Committing to fixing your debt problems. Not easy to do. But, possible if you dedicate yourself to it. Lowering your balances. Your revolving debts (like credit cards) require paying the balances. If you can’t do it every month try lowering your monthly balance to 30% of the credit limit. Your credit score gets worse when the high debt-to-limit ratio increases. So, lower your debt-to-limit ratio. Don’t apply for credit. Stop applying for credit cards or any debt or payment cards. More cards lower your score. Always pay on time. Pay every bill on time. Once you square away your debts consider getting a secured credit card. This type of credit card sets a maximum limit depending on the dollar amount you deposit with your bank. Like a bank debit card where you can’t spend more than the amount in the bank account. You deposit $1,000 and the bank gives you a $1,000 secured credit card. Only buy your necessities like food and gas and pay it off in full every month. This raises your credit score. However, it takes time to repair your credit score as you build trust with the credit world. You just learned about bad credit, FICO scores, and how to raise your score. The seller agrees to finance the house rather than requiring you to take out a new loan. Typically, sellers don’t ask about your credit score. You make monthly payments directly to the seller. The house becomes the collateral for the seller financing and returns to the seller if you miss enough payments. The monthly amount and years to pay off the loan set in legal documents signed by you and the seller. Most importantly, the best deal for a buyer with bad credit occurs when the seller owns the house free and clear of any loans. In other words, no mortgage or other debts lingering at the closing when you take title to the house. A private money lender looks for good returns on their real estate investments. Unlike hard money lenders, they don’t engage in the business of lending money. Lending private money depends more on establishing a relationship than running a business. These lenders normally do not ask to see your credit score. This involves finding a wealthy relative or an in-law to finance the purchase and act as a bank where you pay the lender directly. Of course, expect a small percentage mark up to compensate your lender for the time and risk involved with the investment. Businesses and individuals act as hard money lenders. They lend money at high-interest rates. But, state laws prevent charging too high-interest rates. According to Investopedia, state “usury laws” regulate the maximum amount of interest charged on a loan to protect consumers. This California real estate law firm explains the state laws about hard money lenders. Basically, a hard money lender makes loans not conforming to standard bank practices. As a result, the house buyer pays a higher interest rate. However, California usury laws set a limit on the maximum interest rate. The house secures the loan. Thus, failure to make payments results in the lender owning the house. 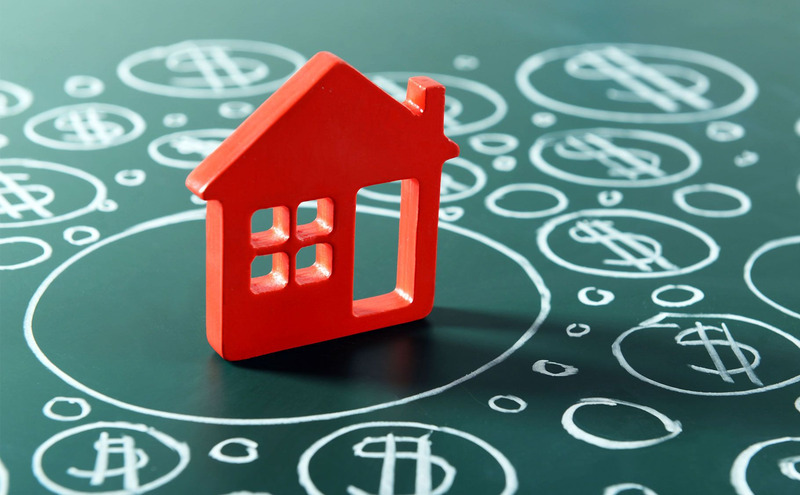 According to the California Attorney General, the current usury law regarding purchasing a home sets the maximum interest at “the higher of 10% or 5% over the amount charged by the Federal Reserve Bank of San Francisco” for the prior month. Interestingly, the California AG also points out that the usury law does not apply to licensed real estate brokers for loans secured by real estate. This means they can charge higher interest rates. Bigger Pockets, the huge online platform for real estate investors, brokers, and professionals published a very informative “Guide to Hard Money Loans” Here. Bad credit doesn’t mean you can’t buy a house. It means that a bank or other financial institution may reject your mortgage application because of your low FICO score. Once you get the funds to buy your home, consider hiring an escrow company that holds the important documents and funds as a neutral third party to help the home buying process. Open Escrow offers you the best escrow services to make sure your closing occurs without a hitch. Contact Us to learn more about our escrow services.